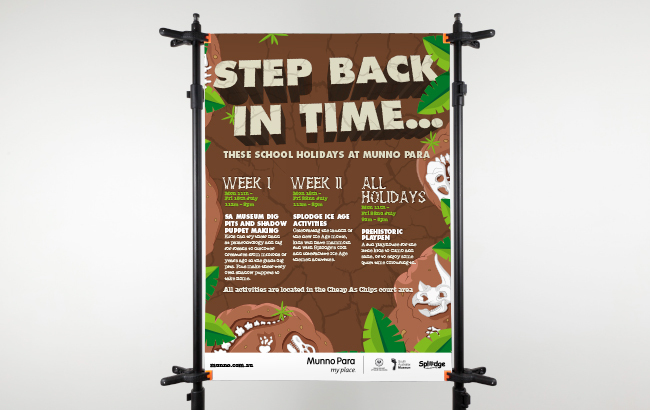 Our client, Munno Para Shopping City is always coming up with new ways to keep the rug rats entertained while you enjoy a spot of retail therapy. 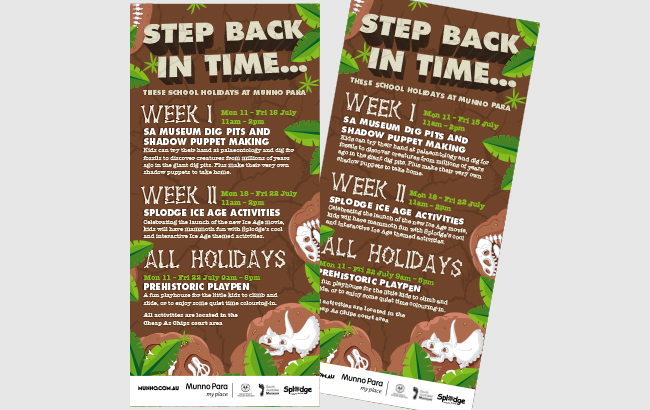 These school holidays we helped them create some fossil-tastic graphics to promote their Step Back In Time in-centre activation. 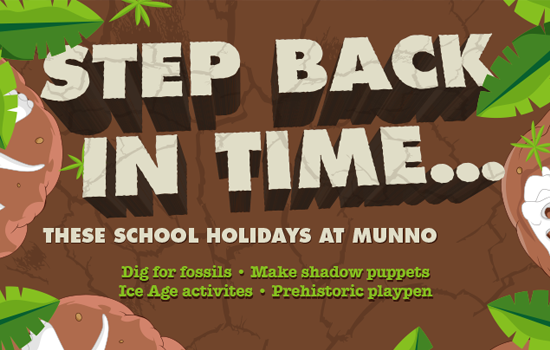 It was a huge hit with the kids…. 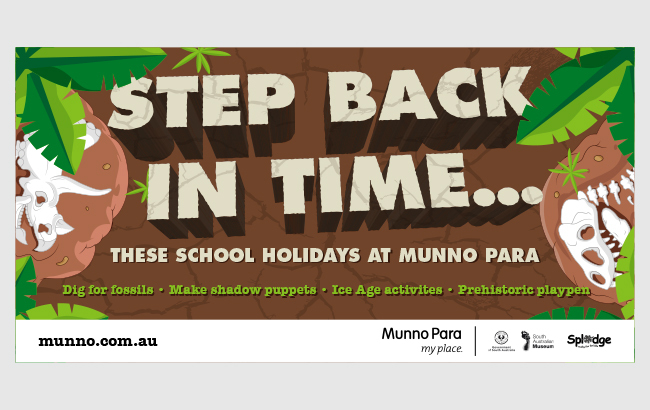 and a few ‘big’ kids too.